A selection of fancy items showing a small part of the range which was produced during the period. The use of gift boxes was widely extended during this time under the direction of Phillip Robinson. Previously their use was largely limited to presentation tea and coffee sets. By offering a much wider range of boxed goods it was possible to add value at relatively little cost and also reduce breakages in transit. It has also meant that items have survived in rather better condition than they might have otherwise. I have prepared this list using a catalogue entitled "Outline Sketches of Shapes" dated May 1955 which is reproduced in full on the Shapes, Catalogues and Brochures Page. 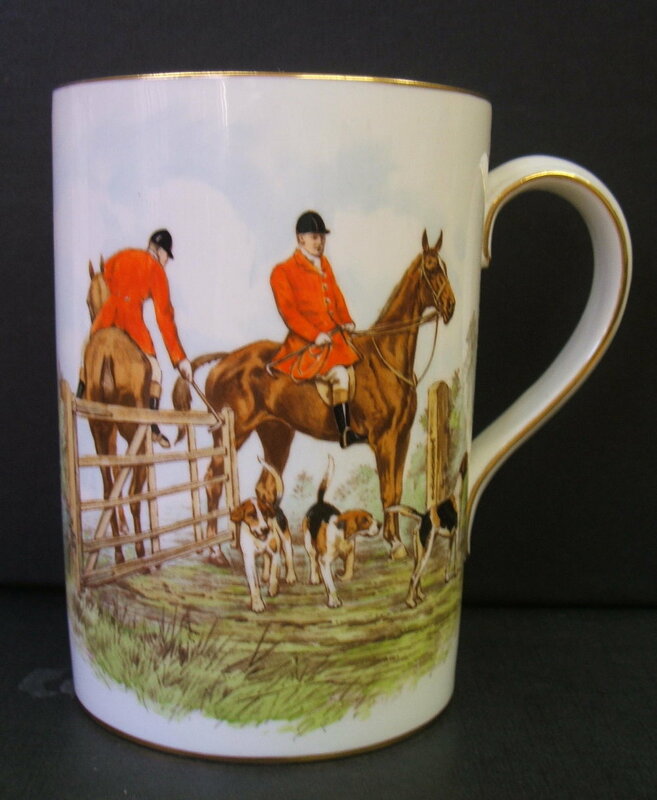 I have tried to show as comprehensive range of shapes as possible but there are 1987 shapes alone listed and described (but unfortunately in the main not illustrated) by John Twitchett and Betty Bailey in their 1976 edition of Royal Crown Derby. There are no additional shapes listed in the 1988 revised edition. The following items were sold as boxed fancies, either singly or as sets. Sweet shape No. 1800 Oblong - 4 sizes. Sold boxed singly or in pairs with matching oblong boxes as a smokers set. Also sold boxed as a butter and jam set in pairs with a butter knife and jam spoon. Here shown with gadroon shape trays. Sweet shape No. 1801 Rounded - 1 size. Sweet shape no. 1802 Oval - 4 sizes. Sweet shape No. 1803 Square - 4 sizes. Sweet dish shape No. 913 ("Rouen") - Oblong. Sweet Dish shape No. 986 (shallow). The first tray above has a celadon ground. Oval, Round and Square Rouen Trays. Shape numbers 761, 762 and 763. Six sizes. Bedford Shape Sweets - 4 sizes. Sold boxed singly or together with an open jam. Alton Shape (3 Sizes). Sold singly or in a boxed posie jam set with a jam spoon. Also sold as a boxed set of two trays or with a covered dish (see above). Shape number 1431. Silver (Sweets) Shape Number 1273 - 4 sizes. Duchess Sweet shape No. 1950 - 7 Sizes from 4" dia. to 10"
Cake Basket No. 1685 Oval 3 sizes. Cake Basket No. 1685 Square 3 sizes. The first image showing pattern 8731 is from the collection of Mrs Irene Mary Cox. Gadroon Trays sold in separate round boxes or grouped as a set of four. The club version appears to double up as a cruet tray. Sold boxed singly, in pairs, or in a set of four. (Cigarette) Box 1920 Shape. These were sold singly or as a smokers set in a box with two 1800 oblong trays. Gadroon Box. Shape 1943. Sold boxed as a smokers set with two oblong gadroon trays. Jam 1923 s.s. and Jam 1927 l.s. Chelsea Sugar and Cream 54's. Caddie, shape 931, here in the Posie pattern. Gadroon shape crescent butter dish and knife sets. The first set shown above in the Posie pattern was sold through Harrods, and the box is specially marked. Also shown are trays in patterns Wentworth, Claremont, Woodland Violets, Pink Aves and Ellis Spray. Also found in other patterns including A962 Gadroon Rose. 1972 Shape Flowered Oblong Tray. The following items are shown in the unboxed section, but I suspect that the tankards and Pershore and Chinese Birds Boxes would have been available with a presentation box. Triple and Double Hors d'Oeuvre Dishes. Sandwich Tray Mikado Pattern. Shape 1885. Sold as a set together with six square plates. Basket Royal shape in posie. 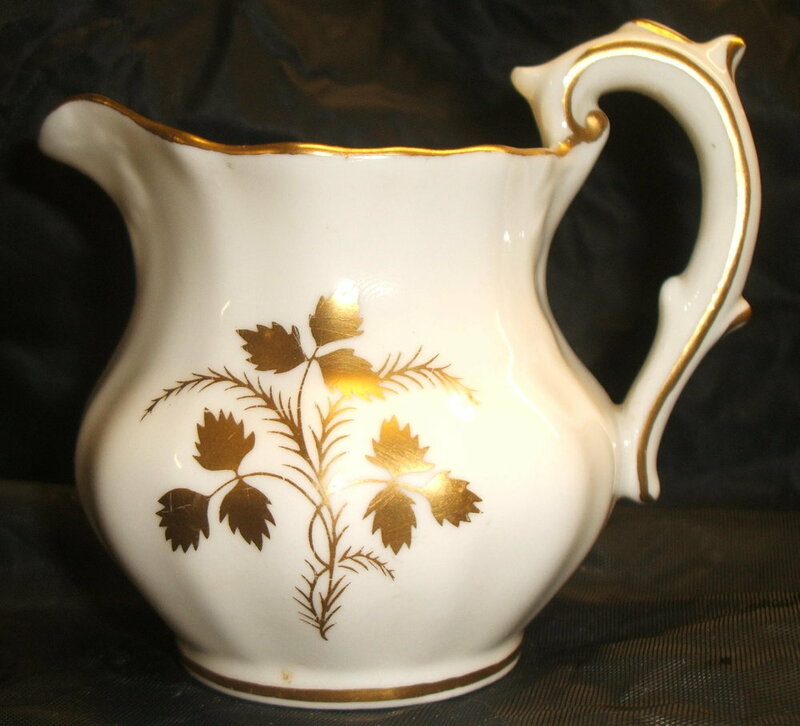 Comport 1919 (Unfinished) Gadroon Version and Vine Version in pattern A972 signed J Price. Also produced in a Plain shape. Card Tray shape 1375 - 3 sizes. Box 1754 Shape (2 Sizes). Also seen in Red Aves. The second example with back stamp for 1946 has been modified with the addition of a game bird - perhaps a "Bob White" Quail? to the lid. I have also seen a pheasant version. Ink 1807. It is missing its lid and ink well insert. Tankards - "New" and 1928 Shapes. 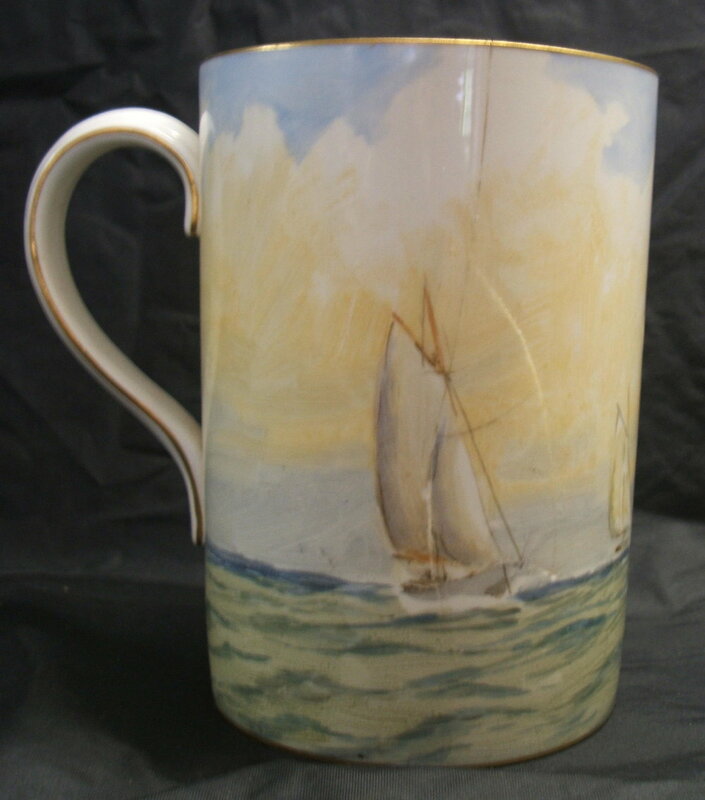 The last two images show a tankard with views of Clovelly. The scenes are almost identical to those on postcards published by Raphael Tuck. Rouen Candlesticks Shape 784 - White and Gold and with Celadon and Golden Fawn Grounds. These were also made with applied flowers. Soup Tureen in the Talbot Shape. The stand is missing. The Sauce Tureen here is in the Ely shape and is much smaller. The following items are not included in the 1955 shapes catalogue. "Marcel Franck" Atomisers in the 1128, Pinxton Roses and Woodland Violets patterns. Two Vine pattern white and gold taper holders an oval dish and two covered boxes, the last having a celadon ground.. Covered Box in the Rouen Shape. Lamp bases in the Chinese Birds, Melody, Antoinette and Fluted patterns. A selection of serviette/napkin rings. The patterns from left to right are as follows: Ellis spray, Vine Duesbury Green, Vine White and Gold, Pinxton Roses and Woodland Violets. Assorted vases. A228, A1184 and A1120 are in shape number 1774. Fern pot of hexagonal shape and embossed. This example is in the smaller size. Shape number 1063. I have included it as the mark has the date cipher for 1937. 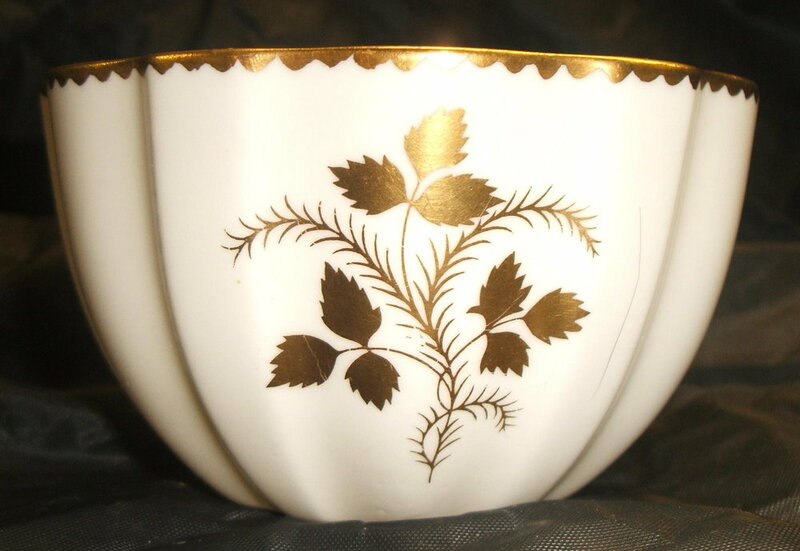 An early example of the posie spray which presumably is listed in pattern book 11 or 12, but the information is not included in "Royal Crown Derby" by John Twitchett and Betty Bailey and perhaps has been lost. Boxed Cruet Set in Eliis Spray pattern. Round ribbed pin trays, the shape number unknown. These mostly appear with pink and celadon grounds, the last five having "Derby Star" Pinxton Roses and "Wentworth" centres. Unusual basket with Ellis spray. 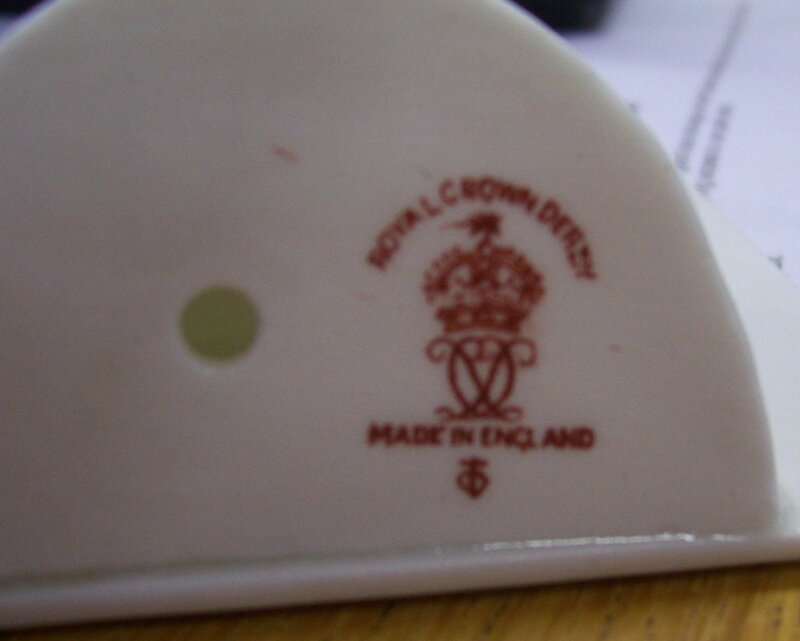 Red (BONE CHINA) factory mark used 1956-65. Three plates from the "Ivor" series. The first two are taken from illustrations by Ernest Haslehust from the travel guide, "The Peak District" by R. Murray Gilchrist. Other plates in the series include Bakewell View. Perhaps "Ivor" is a reference to Phillip Robinson's middle name. Lion's Head Rock signed by Reuben Hague. I have also seen a similar plate by Hague entitled Haddon Hall. 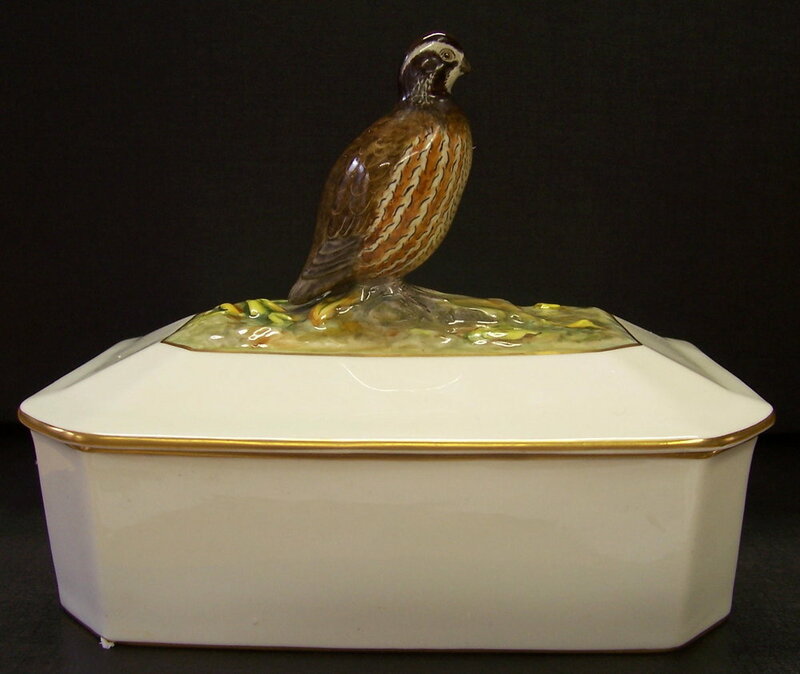 Ruffed Grouse, one of a series of game bird plates produced from paintings by Donald Birbeck dated 1940. Also in the series are Blue Winged Teal, Pintail Ducks, Prairie Hens, Mallard, Snipe, Wild Turkey, Bob White, Red Grouse, Ptamigan, Summer Ducks and Canvas Back Ducks. Seen with celadon, pink and golden fawn grounds. Two of a series of different ground colour plates produced produced from paintings by Donald Birbeck and dated 1940. Both are entitled Lake Bream. Also in the series are Pike (immature), Perch, Rainbow Trout, Samlets, Grayling, Black Basse, Roach, Salmon, Chub, Brown Trout, Lake Bass and Brook Trout. The shape of the plate with its embossed border is unknown. 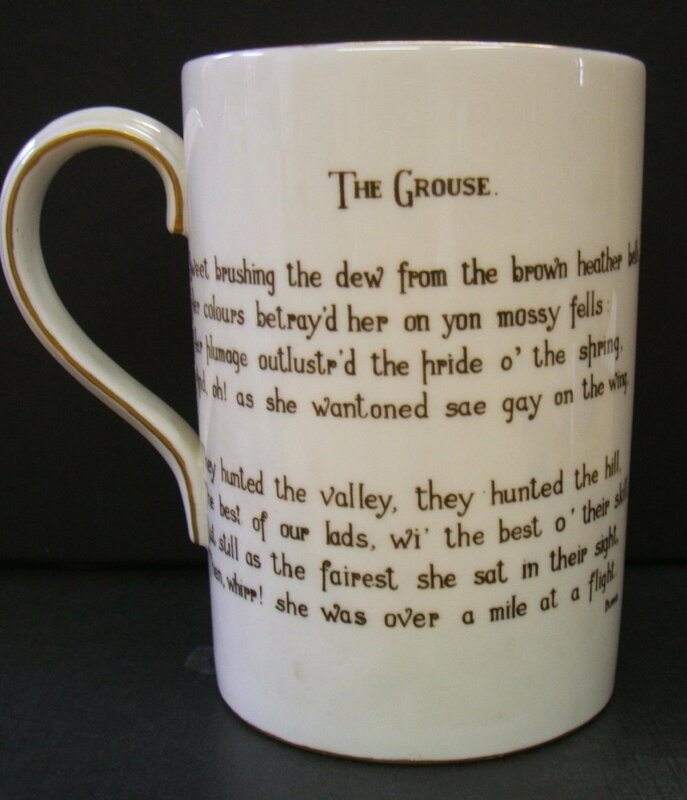 The image also appears on the "Flying Machine" tankard above. Another plate with embossed border, similar to the one above but lacking the flower heads on the rim. Posie centre. Unusual Jardiniere in the Rouen shape with Ellis sprays and blue enamel details. An assortment of fluted ware. I have seen these in harlequin sets.